Today’s world has become increasingly violent with predators stalking our streets and countryside. Whether it is a criminal attacker, terrorist or enemy, situational awareness is the name of the game, and once a threat is identified, immediate steps must be taken to attack, counterattack or effect an escape. This encounter could very well occur while you are operating a motor vehicle. If so, your “mental toolbox” needs to have some equipment with which to work. Yes, you can watch plenty of videos. But there’s nothing like getting out there and doing it. However, under the heading of “Don’t try this at home,” your best bet is to take a professional course. This enables you to actually perform the maneuvers you’ll need to stay alive. I recently attended a sample Vehicle Dynamics course at the Panthera Training Center in West Virginia. This 750-acre facility has everything for law enforcement, military and civilian self-defense training. Along with numerous shooting ranges and training areas, there’s a 1.5-mile high-speed driving track, skid pan and off-road driving course. The center has foundation elements, but its courses are normally custom-designed, with a focus on real-world mission training. For this course, two of Panthera’s top driving and shooting instructors took me and a few other gun writers through a number of dynamic driving exercises. We observed and learned different techniques that might help us to survive if the roadway becomes a battlefield. A principle goal in any driving experience is to be consciously competent. This will prevent accidents in spite of adverse conditions or the actions of others. To do this, the driver must demonstrate situational awareness, maintain vehicle control and use evasive maneuvers. Vehicle control can only be understood if you are familiar with vehicle dynamics—the forces that affect or cause weight transfer and traction management. Only a very small portion of the tire is in contact with the road at any given time. A shift in the vehicle’s weight can radically change the traction balance. Here the instructors emphasize threshold braking instead of jamming on the brakes and losing control; you brake only with enough pressure to maximize the braking force developed by the tires and then accelerate out. The optimal amount of braking force develops just when the wheels begin to slip. Should you drive into what becomes a deadly-force encounter, your best course of action might be to rapidly reverse to gain distance and cover from your attacker(s). At the same time, you want to maintain a stable platform should your “crew” need to engage the attacking element as you tactically retreat. Our instructors demonstrated how to use the passenger-side mirror as a stable reference point for keeping the vehicle straight while reversing quickly. In this case, the edge of the pavement was the focal point, and maintaining a constant distance from it while reversing was challenging. Doing this, one can even round a curve as we did and end up behind a low hill, out of view and behind cover. I was amazed at how fast one of our instructors was able to do this. A more aggressive way to exit a danger zone in a vehicle is to execute a J-turn. Here, the driver puts the vehicle in reverse and rapidly accelerates. The length of straight roadway you have will dictate how far you can go in reverse before you spin the steering wheel, causing weight transfer that swings the vehicle around. Basically, you throw the wheel and let go, and the vehicle will find full steering lock, helping it to swing around. Once this happens, the driver immediately slams the transmission into drive and accelerates forward. One mistake to avoid is looping your thumbs around the steering wheel, as this could cause injury in such a violent maneuver. A unique aspect of the on-road track at Panthera is that it’s built on the side of a gently sloping hill. This provides some interesting dynamics compared to similar courses laid out on flat ground. A basic fundamental when doing any high-speed driving is to avoid obstacles and make controlled turns. On the track straightaway, we built up speed and then, coming into the left-hand turn, we had to use our threshold braking skills, bring the car into the apex of the outside of the curve and then turn inward and to the left, which allows a speedy, yet controlled turn. A few yards forward of that turn were orange traffic cones in a row, a bit over a car-length between them, and they had to be negotiated at speed. Getting close to the cone without hitting it is the goal using the forces of traction management to maintain good control of the vehicle. While performing these maneuvers, you may inadvertently leave the highway. If you’re lucky and don’t go right into a ditch or tree, as long as you don’t panic, you can get the vehicle back on the road. The worst thing you can do is jerk the steering wheel in the direction that will put you back on the road, because, depending upon your speed, you could flip the vehicle. If your vehicle does leave the road, slow down with controlled braking and calmly steer the vehicle back onto the roadway. Our instructor actually had us close our eyes while he took control of the steering wheel and moved the car off the road. Then he had us open our eyes and deal with the situation. It was startling to say the least, but it got the lesson across with just a few runs. What if the driver is suddenly incapacitated? As the passenger, you must quickly gain control of the vehicle. You have to get over to the left side as best you can and get a hand on the steering wheel. You may need your left arm to push the driver over and hold him or her there. Your right hand can do the steering. Your left foot will have to most likely shove the driver’s foot off the gas pedal. The goal here is to get the vehicle quickly and safely stopped. Once you get control of the steering wheel, gas and brake pedals, the vehicle needs to be steered off the road with controlled braking to come to a stop. What if you’re being chased in your vehicle and circumstances cause your vehicle to roll over onto the roof? What can you do now to keep the bad guys from approaching and killing you at their leisure? As a real-time demonstration, we donned helmets and were strapped into a window-less SUV fitted with exterior roll bars. Another SUV with a long cargo strap was used to roll our SUV over, at which point we needed to quickly release our seat belts, get out of the vehicle and use it for cover as we fired our handguns at two steel targets 10 yards away. We then had to move to a wall about 21 feet away from the vehicle, again firing on the targets. As the vehicle begins rolling over, pull your feet close to the seat and away from the brake pedal, which could trap your foot. After that, use your strong arm to push as hard as you can on the roof of the car so that when your support hand unbuckles your seat belt, you don’t have an uncontrolled fall. Lastly, move as quickly as possible out the driver’s side window, keeping the vehicle between you and the aggressors. “PIT” is an acronym for “Pursuit Intervention Technique,” and performed properly, it can help stop a vehicle pursuit. The key is the pursuing good guy (GG) needs to position his or her vehicle on the left or right side of the bad guy (BG) vehicle so slight contact is made with the front bumper of the GG’s car to the rear portion of the BG’s car, just behind the rear wheel well. The instant this contact is made, if the “pitting” vehicle is positioned correctly, a simple quarter-turn and acceleration will cause the BG car to lose traction and slide sideways. Now, the GG accelerates, shoving the BG car to the side as the GG steers away. The speed at which both cars are traveling will determine how violently the BG will spin out. This is a very dangerous maneuver, and the pursuer needs to wait for just the right time. Also, attempting this at speeds over 35 miles per hour should be avoided. The Panthera Training Center has a large skid pad where students can practice regaining control of their vehicles after losing traction. Avoiding panic, steering into the skid, and threshold braking are the keys to getting back under control. The old police vehicles we were using had a switch to turn off the traction control system so it did not try and counter the loss of control. Instructors showed us methods of controlling skids in tight turns on wet pavement. Also, our instructors would take over the gas pedal to make things even more exciting. This is a necessary experience during a dynamic driving course. Toward the end of the class, everything culminated on the high-speed track and in a multi-use paved area. Aggressive driving at high speeds mated with cornering skills, avoiding obstacles like traffic cones, maintaining traction and threshold braking were all covered as we went around the 1.5-mile track. At the multi-use area, the instructors set up a driving course that would have us rapidly accelerate. Drivers then brake to a complete stop in a marked area, then accelerate again and finally turn into a slalom course with traffic cones to zigzag through. At the end of this was a cone inside the still-wet skid pad where a tight turn had to be made, after which you accelerated to two more cones and made tight turns into a final straightaway. The finale required the driver brake to a stop without hitting any cones. A timed course and competition kept things interesting. On top of all that, instructors conducted several demos that involved shooting through windshields and at other parts of vehicles. Overall, this experience was invaluable. If you’d like to build your own tactical driving skills, visit pantheratraining.com. 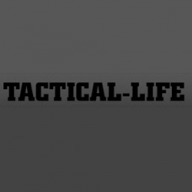 This article is from the November/December 2018 issue of Tactical-Life magazine. Grab your copy at OutdoorGroupStore.com. The post Panthera Training Center Top 10 Road Warrior Tips appeared first on Tactical Life Gun Magazine: Gun News and Gun Reviews.